Small world, giving them a sense of security. Viki Budik, former Owner and Director of Y Grow Up Activity Center for Parents and Children developed this idea. There where two locations in Weston, FL and North Miami Beach, FL. Viki has a Master’s degree in Education from Boston University as well over 30 years of experience in teaching, coordinating and directing mommy & me and preschool programs. She is also a mother of two. Viki spent several years researching educational programs and children’s museums. Y Grow Up was created using the best ideas taken from around the world: in a miniature form that children can relate to. Now in 2015, Y Grow Up is back on a virtual mode, extending our service from Florida to the rest of the world. We are trying to keep the same interesting concepts from our former physical location to an on-line environment where parents and guardians will have the opportunity to shop online for interactive toys. Whether your child wants to shop in a miniature grocery store or play dress up at the civic center, as a police, fireman, nurse, doctor, or painting like Picasso getting messy in the art area or developing their Einstein potential in the mind boggling thinking skill area , or just being an adorable little toddler. You and your child will have the educational time of your life at Y Grow up with the toys that you will purchase on our website. Our categories will be introduced through our main characters, Sammy and Sally. Y Grow Up will be working directly with toy manufacturers, so you can use our virtual activity center to choose toys based on specific skills, ages and needs. 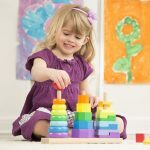 We are working very hard in choosing the best educational toys, and providing innovative ideas from professionals in the fields of psychology, occupational therapy, and education with articles, blogs, and videos. We will always be available for our customers. We also will continue working with schools and helping you to create and develop your ideal playroom or classroom environment. You will be the reason for our success! So, we invite you to be part of the Y Grow Up family. Every toy has been designed by educators to bring your child and you the best learning experience that will create the foundation for life. Once you spend time here you will ask your child to bring you back again and again.